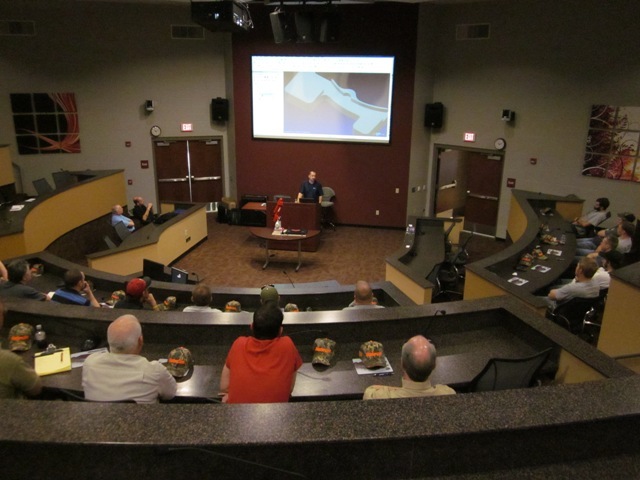 The VU HTEC Teacher Training Center offers training and certification classes year round, but sometimes it is more convenient for educators to attend during the summer months due to vacation time. Courses range from NIMS level 1 CNC milling and turning training and certification, to Mastercam Multi-axis programming, setup and operation. Please see the attached documents for complete course descriptions, and for a 2013 class schedule. Three million open jobs in the U.S., but who's qualified? Attention HTEC Instructors - 2012 SME Education Foundation Gene Haas Foundation Machining Technology Scholarship Applications - Now Being Accepted Criteria: Â· Applicants must hold a GED Certificate, be a graduating high school senior, high school graduate or undergraduate student Â· Planning to attend or be enrolled in a diploma/certificate/2-year degree machining/machining technology program or closely related field. 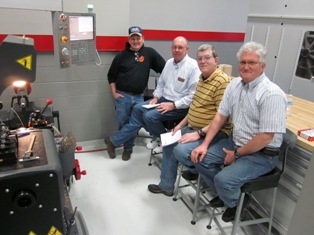 Representatives from CAD/CAM Technologies were on hand Thursday, March 15 from 9am to noon to rollout the newest release of the Mastercam design and CNC programming software - version X6. Approximately 20 people from industry and another 20 students and faculty members participated in the event. The rollout consisted of a presentation of the new design features, and the new CNC mill and lathe toolpath stategies, including the powerful 'dynamic mill' toolpaths. There was also a prersentation on the MasterGage portable CMM. At the conclusion of the presentations there was a demonstrat . . .